ProTrainings is pleased to offer CME/CE/CEU credits to all students for their BLS, PALS, and ACLS certification and recertification courses. These credits are approved through a joint providership with the Postgraduate Institute for Medicine (PIM) for a variety of professions. This activity has been designed to meet the educational needs of healthcare providers involved in the care of patients in cardiac arrest. Apply the knowledge gained from the education delivered by ProTrainings in the use of BLS, ACLS, and PALS skills. Follow the ACLS assessment and management recommendations in the ACLS algorithms. Apply skills to more effectively save lives as a resuscitation team member or leader in an interdisciplinary team. Change the loss of knowledge and proficiency over time by reviewing the cognitive education in manageable time allotments more frequently than the required two-year certification period. This activity has been planned and implemented in accordance with the accreditation requirements and policies of the Accreditation Council for Continuing Medical Education (ACCME) through the joint providership of Postgraduate Institute for Medicine and ProTrainings. The Postgraduate Institute for Medicine is accredited by the ACCME to provide continuing medical education for physicians. The Postgraduate Institute for Medicine designates this enduring material for a maximum of 8.0 AMA PRA Category 1 Credit(s)™. Physicians should claim only the credit commensurate with the extent of their participation in the activity. Postgraduate Institute for Medicine is accredited by the Accreditation Council for Pharmacy Education as a provider of continuing pharmacy education. 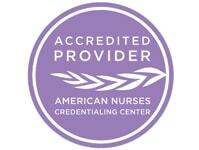 Postgraduate Institute for Medicine is accredited with distinction as a provider of continuing nursing education by the American Nurses Credentialing Center's Commission on Accreditation. This educational activity for 8.0 contact hours is provided by Postgraduate Institute for Medicine. This continuing education activity has been planned and implemented in accordance with the standards of the ADA Continuing Education Recognition Program (ADA CERP) through joint sponsorship efforts between Postgraduate Institute for Medicine and ProTrainings. Postgraduate Institute for Medicine is an ADA CERP Recognized Provider. ADA CERP is a service of the American Dental Association to assist dental professionals in identifying quality providers of continuing dental education. ADA CERP does not approve or endorse individual courses or instructors, nor does it imply acceptance of the credit hours by boards of dentistry. Postgraduate Institute for Medicine designates this activity for 8.0 continuing education credits. Concerns or complaints about a CE Provider may be directed to the provider or to ADA CERP at http://www.ada.org/cerp. The ProTrainings faculty — Roy Shaw, Jody Marvin — hereby state that they or their spouse/life partner have no financial relationships, relationships to products or devices, or other commercial interests related to the content of this CME activity of any amount during the past 12 months. Participants have an implied responsibility to use the newly acquired information to enhance patient outcomes and their own professional development. The information presented in this activity is not meant to serve as a guideline for patient management. Any procedures, medications, or other courses of diagnosis or treatment discussed or suggested in this activity should not be used by clinicians without evaluation of their patient's conditions and possible contraindications and/or dangers in use, review of any applicable manufacturer's product information, and comparison with recommendations of other authorities. ProACLS is rated 4.6 out of 5 based on 1006 ratings.